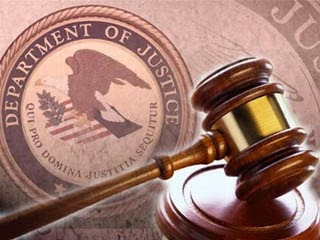 Retired General James E. Cartwright, 67, of Gainesville, Virginia, pleaded guilty to making false statements in connection with the unauthorized disclosure of classified information. The guilty plea was entered in the District of Columbia. The announcement was made by Acting Assistant Attorney General for National Security Mary B. McCord, U.S. Attorney Rod J. Rosenstein for the District of Maryland and Assistant Director in Charge Paul M. Abbate of the FBI’s Washington Field Office. According to his plea agreement, Cartwright is a retired U.S. Marine Corps four-star general who served as the Vice Chairman of the Joint Chiefs of Staff from Aug. 31, 2007, to Aug. 3, 2011, and as Commander of the U.S. Strategic Command from 2004 to 2007. During that time, Cartwright held a top secret security clearance with access to sensitive compartmented information (SCI). Cartwright signed more than 36 non-disclosure agreements related to Department of Defense programs. The forms explain that the recipient is obligated by law and regulation not to disclose classified information without authorization. The forms also contain warnings that any breach of the agreement may violate federal criminal law. In addition, Cartwright received annual training about handling classified information. On Sept. 1, 2011, Cartwright retired from the U.S. Marine Corps. Upon his retirement, Cartwright maintained his top secret clearance. The clearance enabled him to engage in consulting and private employment, including sitting on a special committee of the board of directors of a defense contractor, which oversaw the company’s classified U.S. government contracts. Between January and June 2012, Cartwright disclosed classified information to two reporters without authorization. Some of the information disclosed to the reporters was classified at the top secret level. Each reporter included the classified information in published articles. In addition, the classified information that Cartwright communicated to one reporter was included in a book. FBI agents interviewed Cartwright on Nov. 2, 2012. During the interview, Cartwright gave false information to the interviewing agents, including falsely stating that he did not provide or confirm classified information to the first reporter and was not the source of any of the quotes and statements in that reporter’s book. In addition, Cartwright falsely stated that he had never discussed a particular country with the second reporter, when in fact, Cartwright had confirmed classified information about that country in an email to the reporter. Cartwright faces a maximum sentence of five years in prison for making false statements to federal investigators. The maximum statutory sentence is prescribed by Congress and is provided here for informational purposes. The sentencing of the defendant will be determined by the court. U.S. District Judge Richard J. Leon has scheduled sentencing for January 17, 2017. Acting Assistant Attorney General McCord and U.S. Attorney Rosenstein commended the FBI for its work in the investigation and thanked Assistant U.S. Attorneys Leo J. Wise and Deborah A. Johnston of the District of Maryland, Trial Attorney Elizabeth Cannon of the National Security Division’s Counterintelligence and Export Control Section and National Security Chief Harvey Eisenberg of the U.S. Attorney’s Office, who are handling the prosecution.